See wildlife and nature through the lens of photographer Fred Delcomyn in the South Gallery of Rock Springs Nature Center. Explore drawings and paintings of animals and natural landscapes in the North Gallery of Rock Springs Nature Center. View photography of wildlife, flowers, and exotic birds in the South Gallery of Rock Springs Nature Center. Dulcimer Club has been canceled for May 4, 2019. 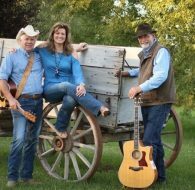 Bluegrass Music Jam at Rock Springs Nature Center offer a perfect opportunity to rediscover musical interests and talents. Bring your instrument, learn a new tune or simply enjoy the musical talents of our volunteers. Free and open to the public. Experienced singers from the Charleston-Mattoon Sacred Harp Singers will delight the public with their unique music.